George is a boy with a secret: on the inside, George is a girl. She manages to hide her secret most of the time, but it makes her miserable. Her class is planning a play of the classic story, Charlotte’s Web, and George wants nothing more than to audition for the part. She loves Charlotte, feeling a special connection to the character. But the role of Charlotte is a girl’s part, and George isn’t even sure she will be considered. Family, friends, classmates, teachers, and school administrators all play a role in the drama that is George’s life as she tries to become a part of the class play. This is a beautiful story, delicately told from George’s point of view. The message is not heavy handed or preachy, rather, this story is like any other story of a young person trying to figure out who they are and how they fit into the world. Which, I believe, is exactly the point. This title is on a sensitive subject, but it is very well handled. Suitable for grades 4 and up, this is a book I highly recommend. Callum Hunt has been warned by his father to stay away from magic, but on his 12th birthday, Callum has no choice but to take the entrance exam for the Magisterium, as his family is known for their magical powers. Callum tries valiantly to fail the test, but still he is chosen to attend the magical school. Now, cut off from his father, Callum tries to learn to use his powers and make friends. He studies under Master Rufus, the most esteemed mage at the school, along with two other promising students, Tamara and Aaron. While Callum learns such exciting things as how to move grains of sand with the power of his magic, he learns more about the school, the students, and ongoing magical war that killed his mother. Soon, Callum will learn enough about himself and his powers to be pulled deep into the heart of the magical war. The stakes continue rise as Callum, Master Rufus, Tamara, and Aaron face off against their enemy in the war: The Enemy of Death! While the magical school setting may cause readers to compare this to the Harry Potter series, “The Iron Trial” has its own magical merits and would be the perfect book to offer an eight-year old. The maze-like underground setting of the magic school is cool, and Callum is a likeable kid. The mages of the school know more than they are saying about the magical war, and the mystery of that knowledge keeps the pages flying as readers try to figure out what is going on. 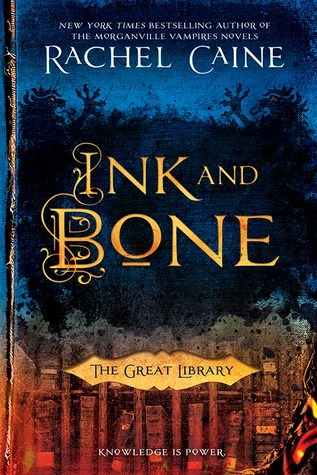 The world building suffers a little in comparison to books like Harry Potter, but overall, the fast pace and sympathetic characters make for an enjoyable read. Book 2, the “The Copper Gauntlet,” is out now. Set in San Francisco’s Chinatown in the 1880s, Li-Lin sees ghosts with her yin eyes. This supernatural gift is considered to be a curse by her father, a powerful Daoshi exorcist. Li-Lin honors her father, but embraces her gift in spite of his disapproval. Now widowed, Li-Lin must make her own way in the world, without the full support of her father. When a family friend tricks her into taking a trip into the spirit world and tries to trap her there, Li-Lin is forced to take action to protect her life. The friend seems to be working with a powerful sorcerer, and soon, her father and the entire town are threatened by an ancient evil. With the help of a spirit in the shape of an eyeball, Li-Lin must embrace her own strengths to save those she loves. Buffy the Vampire Slayer meets Kung Fu in this brilliant, vibrant debut.Set in San Francisco’s Chinatown in the 1880s, Li-Lin sees ghosts with her yin eyes. This supernatural gift is considered to be a curse by her father, a powerful Daoshi exorcist. Li-Lin honors her father, but embraces her gift in spite of his disapproval. Now widowed, Li-Lin must make her own way in the world, without the full support of her father. When a family friend tricks her into taking a trip into the spirit world and tries to trap her there, Li-Lin is forced to take action to protect her life. The friend seems to be working with a powerful sorcerer, and soon, her father and the entire town are threatened by an ancient evil. With the help of a spirit in the shape of an eyeball, Li-Lin must embrace her own strengths to save those she loves. Buffy the Vampire Slayer meets Kung Fu in this brilliant, vibrant debut. I love heist movies and adore clever criminals. I suspect many others like them too, or Robin Hood would not continue to be such a beloved tale. 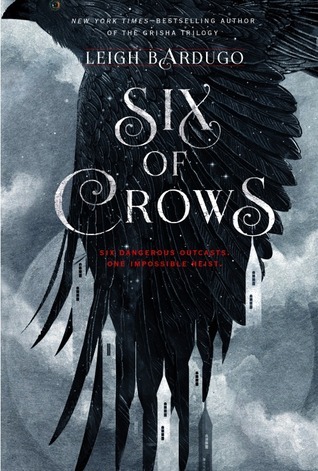 So when I read the blurb for Six of Crows and understood that it was a novel about a dangerous heist undertaken by six young, clever people, I knew I had to read it. The story is set in Ketterdam, a Scandinavian-flavor fantasy city complete with an active criminal element. Kaz Brekker is a criminal prodigy, and he has been asked to free a man from an impregnable prison. If he succeeds, he will be rich beyond his wildest dreams. And if he fails, he will likely be dead. Thankfully, Kaz is smart enough not to go it alone. Enter Nina, a girl with the magical power to stop someone’s heart; Inej, a gifted acrobat who goes by the name of the Wraith; Jesper, a skilled sharp-shooter with a gambling debt; Wylan, a demolitions expert with a highborn past; and Matthias, a convict in search of revenge. Together, they are the Six of Crows, and together, they are heading into trouble. This is the first book of a new series, set in the same fantasy universe as Bardugo’s Grisha series. The magical elements of her other books are present here, but you do not have to read her other works before diving into this one. This book is darker in tone than her other titles, and the story focuses on action, not romance. The characters are all flawed, but in a way that makes them more likeable, more human. The pacing is fast, and the dialogue snappy. The story is told in the shifting points of view of the Crows themselves, in a style you more often see in epic fantasy. Yet, epic fantasy may have more than one story unfolding in the different points of view, and with Six of Crows, you have one continuous story told from many angles. I found the storytelling style to be original, but a little off-putting, at least to start. Once I knew enough about the characters, the fast flow of the story started me flipping the pages like mad. This is an excellent start to a new young adult series, one that can be enjoyed by adults as well. valuable with the sharing. What treasure, you ask? Clearly, it is not a winning lottery ticket, because would already be living in Hawaii and I certainly would not share. This treasure is an author and illustrator. His name? Ben Hatke, and he writes the most wonderful graphic novels for young children. He has written a series of three graphic novels about the adventures of an intelligent girl, lost, through no fault of her own, in space. 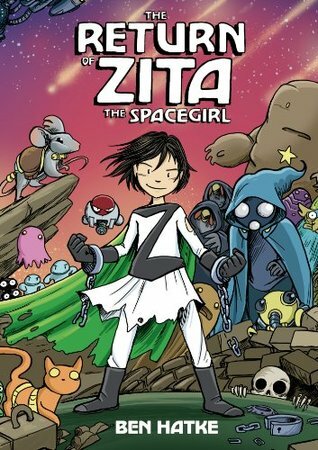 The first book, “Zita the Spacegirl: Far From Home” tells the tale of Zita, who pushes a red button she shouldn’t have pushed and gets pulled into a strange area of space along with her best friend Joseph. Now, far from home, Zita must try to deal with aliens, a broken red button, a suspicious pied piper, and a missing best friend. Can Zita face her fears, find her friend, fix the red button, and finally get home? 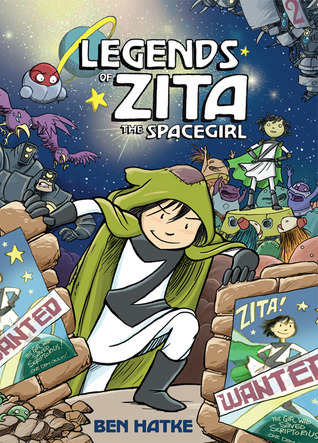 The titles in this series are “Zita the Spacegirl: Far From Home,” “Legends of Zita the Spacegirl,” and “The Return of Zita the Spacegirl.” These books would appeal to readers from third grade and up. 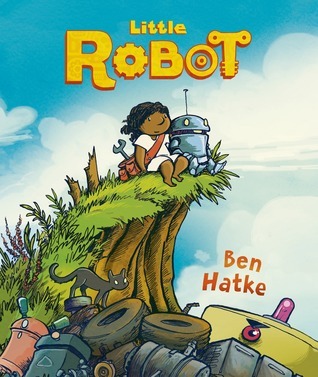 Ben’s newest book, titled “Little Robot,” also features a plucky girl character as she finds adventure. In “Little Robot,” we meet a young girl who just happens across a little robot, one lost from his shipment of other robots headed for a factory. The girl overcomes her wariness, and she and Little Robot are soon fast friends. As Little Robot learns about the world, he longs for friends like himself, but the girl does not want to let him go. When danger from Little Robot’s past threatens them both, can their friendship survive? 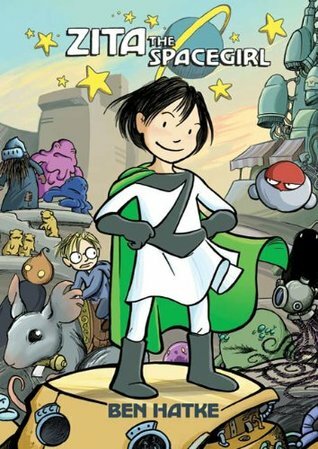 This graphic novel is aimed at a younger audience than Zita the Spacegirl, with a good portion of the story being told without words. When words are used, they are simple enough that I would happily put this into the hands of a six year old. Ben’s illustrations are superb, and actions and emotions are clearly conveyed through the artwork. As a woman with a science and engineering background, I applaud that all the books mentioned here feature girls that are bold, smart, and able to fix their own problems and technology. Boys should still enjoy the titles, as they features wit, charm, and a goodly dash of sly humor. Well done, Ben Hatke. Well done! 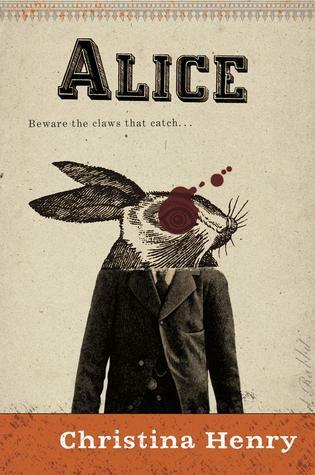 While “Alice in Wonderland” by Lewis Carroll is considered to be a children’s story, I have always found it to be an odd, non-nonsensical tale with more than its fair share of darkness. The Tim Burton movie version is closer to how I see this story, as many of the characters clearly show more of their unsavory inner selves on-screen. Author Christina Henry, with her version of the story, simply titled “Alice,” may have written my favorite Alice story to-date. But let me be clear…this is not a children’s story. This is not even a young adult story. This is an adult story full of adult themes and will appeal to those readers who like horror, magic, and the justice meted out with blood and guns in old Western stories. When the story opens, Alice has been held in an asylum for the insane for ten long years. Her only persistent memory is of a vicious rabbit with a missing eye. When the asylum catches fire, she is helped to escape by fellow resident Hatcher, and as they run through the Old City seeking safety, they realize that something escaped with them–the Jabberwock is also free. (Beware the jaws that bite, the claws that catch!) The Jabberwock brings death, and Alice and Hatcher must try to stop it. And down the rabbit hole we go, into the depths of Old City, a place full of violence, evil, fear, magic, and just the faintest bit of hope. Hope in the form of mad Alice, axe-killer Hatcher, the cunning Chesire, and the assortment of desperate folks they meet along the way, including a giant, vindictive rabbit named Pipkin. Will the Jabberwock meet his end? Will the Vorpal blade go snicker-snack? Read, and find out. The second book in this series, “Red Queen,” comes out next year. Not for the faint of heart, and meant only for adults, this is still highly recommended. The Great Library of Alexandria has survived to modern times. This ancient repository of knowledge now keeps all original books in a world where private ownership of books is forbidden. Copies of books are provided to the masses through Alchemy, and those that try to smuggle books illegally are hunted down by Library Automata–fearsome robots in the forms of Sphinxes and ancient Greek gods. Jess Brightwell comes from a family of book smugglers. His father trained him early to be self-reliant and to keep secrets well. When his father asks him to train to become a scholar in the Library so he can more easily smuggle books, Jess is conflicted. He loves books, and believes that maybe the Library offers him more than a life of smuggling ever could. When he arrives at the Great Library, he meets a new class of students, an intimidating instructor, and begins to understand that the Library may have a dark side to its services. During a dangerous training mission, students begin to die and Jess must make a vital choice…stay loyal to the Library or stay loyal to his friends. This is a terrific start to what promises to be a fun new Young Adult series. Steam punk meets Harry Potter as Jess and company begin their journey to understand the workings of the Great Library. Their discoveries and decisions may just change the world. For older fans of Harry Potter, and for fans of Sarah J. Maas’ Throne of Glass series. Nora is a reclusive writer, and she likes it that way. Unexpectedly, she receives an invitation to attend the “hen,” or bachelorette party, for Clare, a friend she hasn’t seen in ten years. The invitation is puzzling and curiosity getting the better of her, Nora accepts. Soon, she finds herself in a glass house in the woods, cut off from civilization, with a small group of Clare’s supposedly closest friends. As they start the partying in earnest, Nora tries to figure out her purpose with the group. When they use the Ouija board for their evening party game, things start to slip into weirdness. Murder is the Ouija word of the day, a threat backed up by mysterious footprints in the freshly fallen snow. Is this a party game gone wrong, or is the group truly in danger? 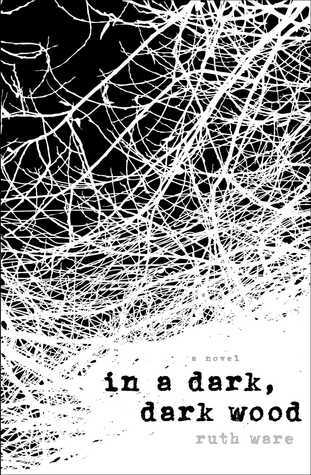 This debut novel’s storyline reminds me of one of those scary movies that kids like to watch at sleepovers. Hints are dropped here and there about friends with hidden grudges and people with mysterious pasts. Shadows lurk in the corners, and monsters hide in the closets. While that may make this story seem trite, it is not. You immediately connect with Nora, and alternating chapters tell details during and after the story’s main event, keep the pacing strong and the tension high. A fast read, with the creepy atmosphere of the glass house in the woods providing an eerie setting. 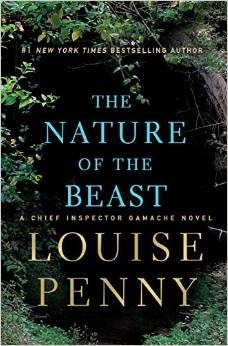 Without any graphic or explicit details, this psychological thriller is a fun read.